Have you finally come to the conclusion that it’s time to ditch your old thermostat for something new? 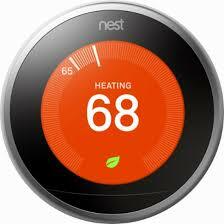 Are you excited about the prospects of installing a smart thermostat? Mobile access. Forget about getting up off the couch when you want to adjust your thermostat. With a smart thermostat, you can use your mobile phone or tablet to turn up the heat or blast the AC. Voice control. Even better than mobile access, some smart thermostats have voice control. This allows you to make the necessary changes all by speaking. Talk about fast and efficient. Thermostat learning. You want a thermostat that learns your routines and understands what makes you comfortable. A smart thermostat can do just that, adjusting the heat and AC based on your daily preferences. Regular alerts. Can your old school thermostat alert you when your AC or furnace is doing something funny? Can it tell you when your home is so cold that it could cause harm, such as a busted pipe? It may be a big change at first, especially if you’re most familiar with a traditional thermostat, but that shouldn’t stop you from making the switch. It only takes one day with a smart thermostat to realize that it will change your life forever. Is there something wrong with your HVAC system? Have you spent countless hours on the problem, just to realize that you still don’t know what’s going on? Although it may not be your immediate preference, there are many times when contacting an HVAC professional would be in your best interest. No hot or cold air. If your furnace or AC is neglecting to blow hot or cold air, it’s time to contact a pro to find out what’s going on. Even if you can pinpoint the problem there’s a good chance you still don’t know how to fix it. 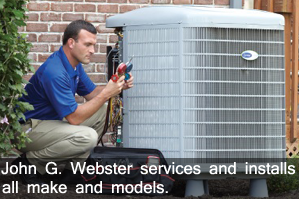 A pro can visit your home, find out what’s going on, and fix it without delay. New furnace or AC. This is a big project that is best left to an experienced professional. 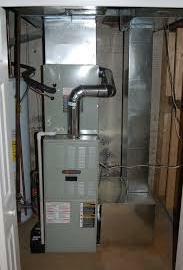 You want the installation of a new furnace or AC to be perfect, thus giving you the peace of mind you deserve. Moving ductwork. There may come a time when you need to move ductwork in your home, such as if you’re finishing your basement. This needs to be done right, as any mistakes could cause you trouble down the road. If you find yourself staring down one of these HVAC projects, don’t wait any longer. Contact a professional that can handle everything for you from start to finish. Do you find yourself in need of an HVAC company? Are you ready to call a professional to your home? If so, you know that making a final decision can be tough. On one side of things, you’re sure you need professional assistance. Conversely, you may be concerned about making the wrong choice. Simply put, you need to consult with an experienced professional who can quickly and efficiently diagnose your problem and provide feedback and a fix. Let’s face it: you may not know the first thing about your HVAC system. This is why you need to hire a company that can provide you with the knowledge you lack. The last thing you want is to wait around, day after day, until a professional can visit your home. A company with availability is one that can take care of your issue without delay. The next time you find yourself seeking an HVAC company, take these traits into consideration. We’re more than happy to help you out, so don’t hesitate to contact us at your earliest convenience. 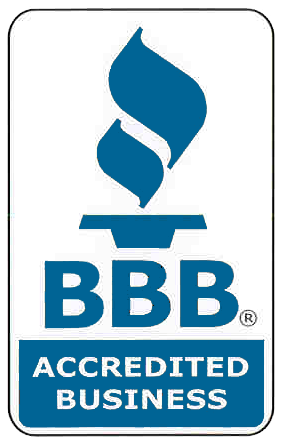 We’re experienced, knowledgeable, and fast! When was the last time you inspected your HVAC system? When was the last time you spent some money on preventative maintenance? If you’re lost and searching for answers, it may be time to take a closer look at every aspect of your HVAC system. Dust and debris. Simply put, a clean HVAC system will operate more efficiently than one that is bogged down by dust and debris. This is why regular maintenance is so important. Refrigerant leaks. Is your AC unit failing you? Is your home warmer than it should be? There is a chance that a refrigerant leak is causing this problem. Thermostat failure. Is your heating or cooling system staying on or off for too long? Is it not coming on at all? These are the types of signs that point toward thermostat failure. Fortunately, once diagnosed, the problem can be remedied in a timely manner. So, there you have it. These are just a few of the many concerns associated with a neglected HVAC system. If you can’t remember the last time a professional inspected your system, it’s time to contact us. We’re more than happy to visit your home, take a closer look, and make suggestions on how to better maintain your system. As a homeowner, there’s a good chance that you know where every HVAC vent is located in your home. After all, this is what circulates warm and cool air through your property. Did you ever consider the fact that you may need to move an HVAC vent? While this sounds like an impossible task, it can be simple and straightforward if you hire a professional. Changing the layout of a particular room. For example, this may be necessary during a kitchen remodel. Adding an addition to your home. If this happens, you don’t want to forget to run ductwork to your new space. Neglecting to do so will cause you future problems in regards to regulating the temperature in the room. Finishing a space. Do you have an unfinished basement? In this case, as construction moves forward, you may find that you need to move a vent to accommodate your design. The type of project and current layout of your home’s ductwork will determine how much time and effort this will take. For example, if there is no drywall, such as in an unfinished basement, you don’t have to worry about knocking down walls to gain access. If you have any reason to believe that moving an HVAC vent is something you need to do, don’t shy away. Instead, contact a professional and let them complete the project for you. As unfortunate as it may be, the warm summer weather is behind us. Now, it’s time to look forward to cooler temperatures and probably a bit of snow. Fortunately, you can always retire to your warm home when the outdoor temperature begins to plummet. Check and change the furnace filter. This only takes a few minutes, so it’s something you should do today. Change your thermostat setting from cooling to heating. Take out window screens and make sure your windows and doors are ready for the winter months. Inspect burners to ensure that these are free of dust and debris. Test your thermostat to make sure it’s working as expected. As you can see, there are many key steps to take as you prepare your furnace for the winter months. If you aren’t comfortable doing these things on your own, it’s time to contact a professional. Every year, we help hundreds of homeowners prepare their furnace and home for cooler temperatures. Winter isn’t here just yet, but it’s coming soon. Rather than wait a few weeks too long, begin to think about prepping your furnace today. If you have any questions, if you need any assistance, feel free to reach out at your earliest convenience. We’re here to keep you warm!